Sign up and receive Property Email Alerts of Freeholds for sale in Simbithi Eco Estate, Ballito. A beautiful modern home that has been designed to encompass the beauty of coastal living. Outdoor and indoor areas of the home flow seamlessly together. The garden and pool area is incredibly spacious with a large flat garden, and wooden shaded deck with sunbeds to enjoy afternoon cocktails by the pool. There is a separate downstairs suite, with its own private entrance and wonderful open air shower. The remainder of the bedrooms are upstairs along with the study and pyjama lounge. The glass spiral staircase , koi pond and separate outdoor living area on the western side of the house with fie pit for those windy evenings really complete this home. This is a very unique and must see property. The house has air cons in all rooms. JoJo tanks of 10 000 litre storage which is plumbed into the garden. Internet, Wifi, USB ports in all bedrooms and TV ports in all bedrooms. 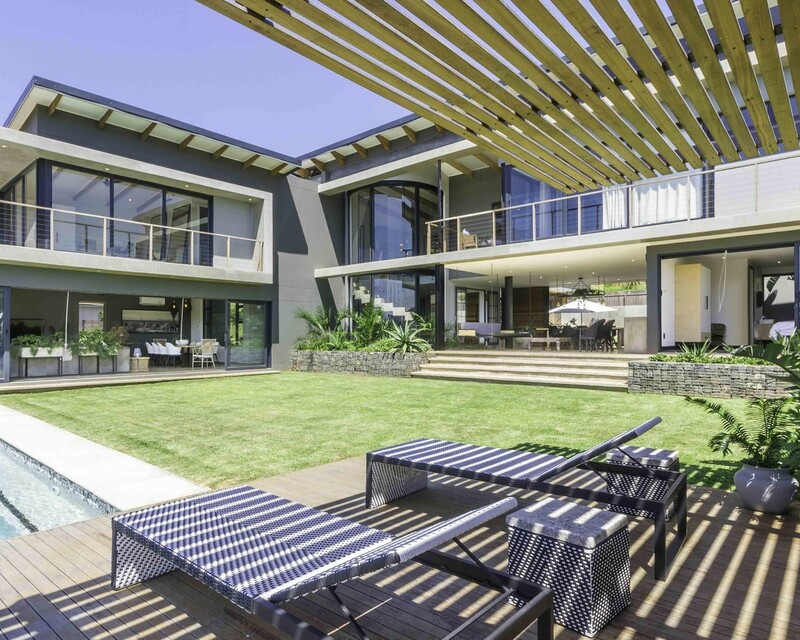 Sign-up and receive Property Email Alerts of Freeholds for sale in Simbithi Eco Estate, Ballito.